Designed by M E & O H Collins with A G Porri in 1928 it was inspired by Tutankhamen's Tomb and has two 8' black cats above the entrance. 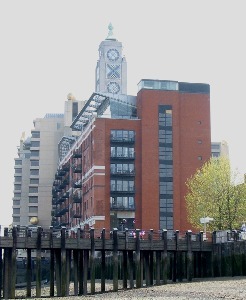 It is now offices known as Greater London House. 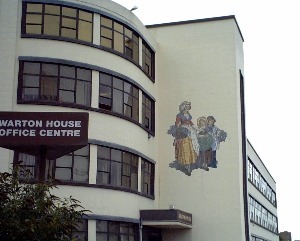 The tower of this 1928 building by Albert Moore was retained when it was redeveloped as shops, restaurants & flats in 1996. The illuminated windows got round restrictions on lighted advertising. 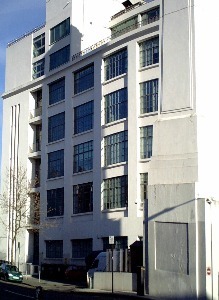 The cream faced building was designed by Higgins & Thomerson in 1937. It depicts street sellers of lavender (a famous product).